Activate sprinklers without walking back and forth to the controller. More than double the range of the SRR-KIT! Feeling like you need to be in two places at once? Finally, you don’t need to walk back to the controller to stop and start a manual watering cycle. 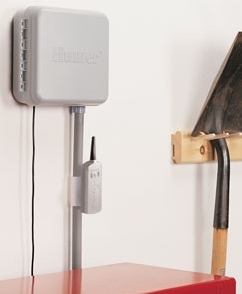 The ROAM Remote lets you do just that: Roam wire-free for simple remote operation. The mid-range solution for residential and commercial applications, the ROAM will operate up to a 1000-foot range. Keep your cool during winterization; get it done quickly and easily with only one worker instead of two. 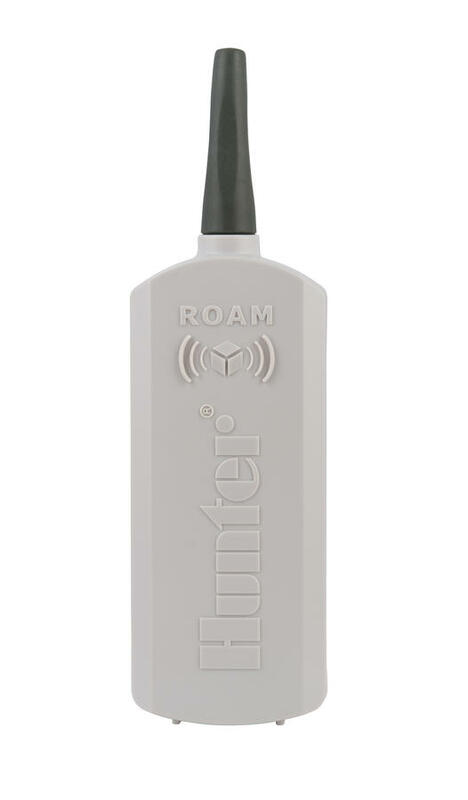 For use with Hunter controllers with SmartPort connections, the ROAM offers features other remotes cannot, at a price we all like. With a large LCD and simple push button operation, this remote is tough enough for anything with its sturdy ABS construction, but small enough to fit in your pocket. On hand and in demand. Uses 4 AAA batteries (included) for up to 1 year of operation: Automatic Shutoff extends battery life. The ROAM Remote conveniently attaches to the base of the controller so that it is always ready to go!